This indulgent & decadent nut roast is an absolute feast & will satisfy anyone with its rich, nutritious flavours. Cook Lentils with the Sweet Potato (about 20 minutes). Half way through, drain and rinse well. Finish the cooking process by replacing in pot with boiling water. Once cooked, drain and rinse again. Bring fresh water to boil & plunge Lentils one last time with soaked and rinsed Dried Procini Mushrooms (to clean as much sand as possible, but reserve the soaking water. Filter it and set aside), Carrots and Celery cut into a *brunoise, to add flavour. During this time, gently fry spices before adding the Courgette and Aubergine, cut in *paysanne, with finely chopped Onions. Once cooked (onions should be melted and Courgette and Aubergine slightly coloured), decant in a Large bowl. In the same pan fry the sliced Shiitake Mushrooms with whole Garlic Cloves. Decant with Courgette and Aubergine Mix. Add the cooled Lentils and Sweet Potato. Bind together with the Flax/Linseeds jelly-like liquid, with a wooden spoon or silicon spatula, folding gently the ingredients together. Best to let it to rest overnight and re-heated gently for 20 minutes for extra flavour. Make sure to let the roast rest a little before slicing. *Brunoise- is a culinary knife cut in which the food item is first julienned & then turned a quarter turn & diced again, producing cubes of about 3mm or less on each side. *Paysanne-A way to cut vegetables into thin slices with shapes that correspond best to the shape of the vegetable. Puy lentils are a great source of vegetarian protein & a rich complex carbohydrate, & fibre which can help reduce cholesterol levels. They are low in fat & a great substitute for meat & are packed with natural phytochemicals which help support your immune system. Mixed nuts are packed with natural protein, fibre, & essential fats. They help stabilize blood sugar levels & induce a feeling of fullness. They are high in magnesium & zinc. In this recipe fresh, unsalted nuts where used. Shitake mushrooms provide vitamin D & are an excellent source of copper, selenium & pantothenic acid. They also have B vitamins & manganese. Shitake health benefits include ability to aid weight loss, fight cancer cells, reduce infection, & help strengthen the immune system. The spices of ground ginger, cardamom, & paprika add depth of flavour & aid your digestion & metabolism. 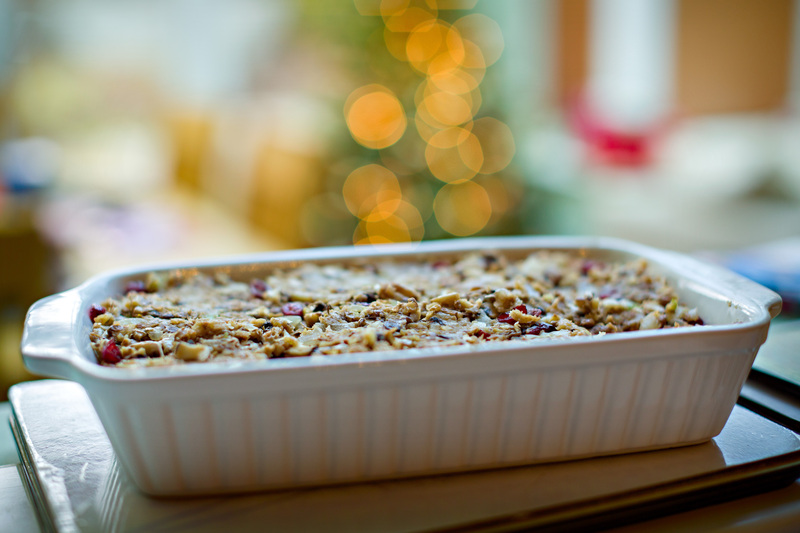 The flaxseeds & gluten free breadcrumbs really help with keeping the nut roast together & are packed with omega 3’s & fibre. Parsley is an excellent source of vitamin K & C & a good source of vitamin A, iron & folate. It is also contains plant flavonoids which naturally strengthen & protect your immune system. This nut roast may involve a number of different ingredients, but they are all easily accessible and packed full of delicious goodness.